I’m currently working as a script writer on two TV shows – Hayden Quinn South Africa and Win A Home on SABC 3. I’m also filling in at Top Billing this weekend while their regular dude is away so right now I’m pretty much consumed by TV, TV, TV… But here’s the kicker – I don’t actually own one so I never watch it. In fact, I haven’t even seen the final cut of any of my shows save for the premiere epi of Hayden Quinn. Eeep! So, ja. I can’t really comment on MasterChef South Africa as I’ve yet to catch it. Still, I do like wine – very, very much – so this press drop totally made my week. 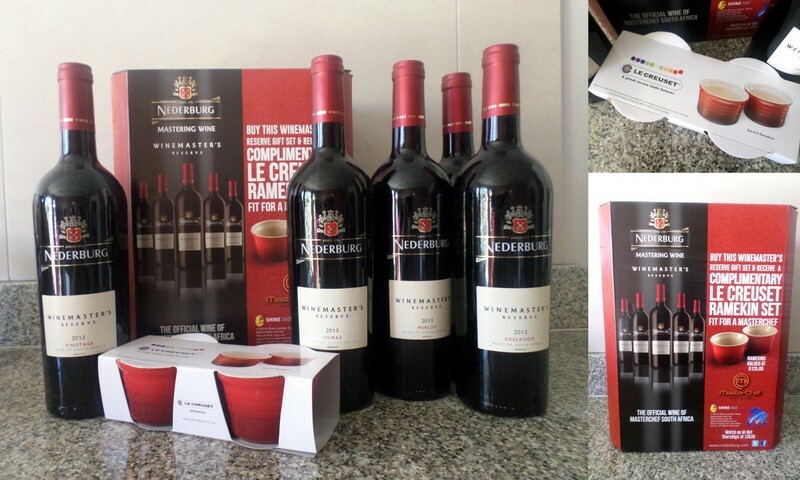 Nice one Nederburg… very, very nice…. Each pakkie kkie comes with five Nederburg Winemaster’s Reserve vinos – a Cab Sav, Shiraz, Pinotage, Merlot and Edelrood (a Cab Sav-Merlot Blend) as well as two mooi rooi Le Creuset ramekins. The best bit? The whole shebang is only R300! That’s crazy good value chicas. I mean, for heaven’s sake, the bloody ramekins are worth R150 alone. Nederburg might as well just give their wine away. 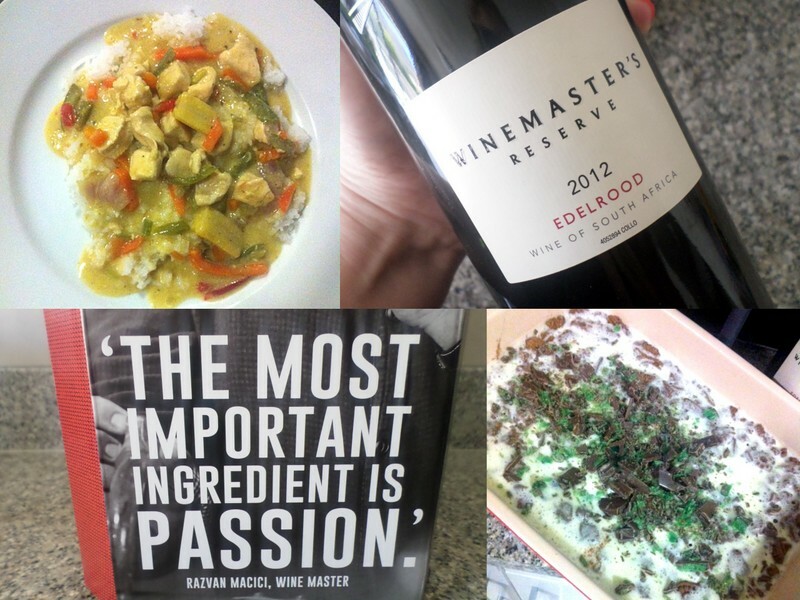 Nederburg reckons their Edelrood, which has berry, mocha and vanilla tones, goes well with casseroles so I paired it with my neighbours Thai green curry and threw my famous Peppermint Crisp tart into the mix. Anyway, my point is this – MasterChef fan or not, Nederburg’s new food-friendly five pack is a helluva good deal, whether you’re buying it for yourself or as a gift for someone else.